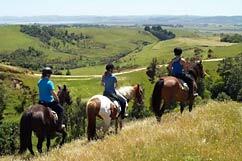 Our unique horse lease programme for adult riders, adults returning to riding, or for children aged 11 years or older, is available now at Tasman Horse Rides. The horse lease program is a practical and easy option to consider if you are currently not in a position to own your own horse, or you are not quite ready for the full responsibility of horse ownership. 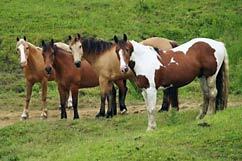 A select number of our horses are available for the Horse Lease Programme. Under the lease programme your horse would be available to ride, have lessons on, pamper or just hang with during the weekends between 10.30am and 2.30pm. All riding gear will be provided for your horse including a fitted saddle, saddle blankets, bridle, halter, grooming equipment. We can initially provide a riding helmet which is safety approved. 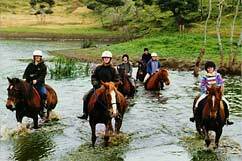 Tasman Horse Rides ensures the responsibility to provide your lease horse all care including grazing, winter feeding, hoof care and drenching. We retain all rights to hire your lease horse to appropriate riders for supervised treks at times when you are not with your horse. On application to the Lease Program you will meet with the Tasman Horse Rides lease coordinator to discuss the terms and conditions of the Horse Lease agreement. If you are interested we would introduce you to our horses, our hosts and our property before you make a final decision. The Horse Lease Agreement is then signed by both parties and payment is to be set up as a monthly direct debit on the 1st of each month. Contact us if want to find out more about the application process. Our property offers incredible open spaces and adventure trails with over 300 acres of farmland. 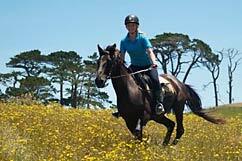 We also offer an outdoor arena for riding and lessons. After a trial period of four weeks to get to know your lease horse and an orientation to our property, you will be able to ride unsupervised over the farm. It is recommended for safety that you ride in pairs or small groups. You are required to carry a cell phone with you at all times. We want this to be a great horse riding experience for everyone, including our horses, so we will work closely with you to support you in building a relationship with your horse and to develop your riding skills in the early weeks. If the horse you have leased is not suited after trial rides we will select another horse and again support you to build a relationship with that horse. You may terminate the lease and ride to the end of the month currently paid for after notifying Tasman Horse Rides.